Is there a better alternative to DND Me? Is DND Me really the best app in Productivity category? 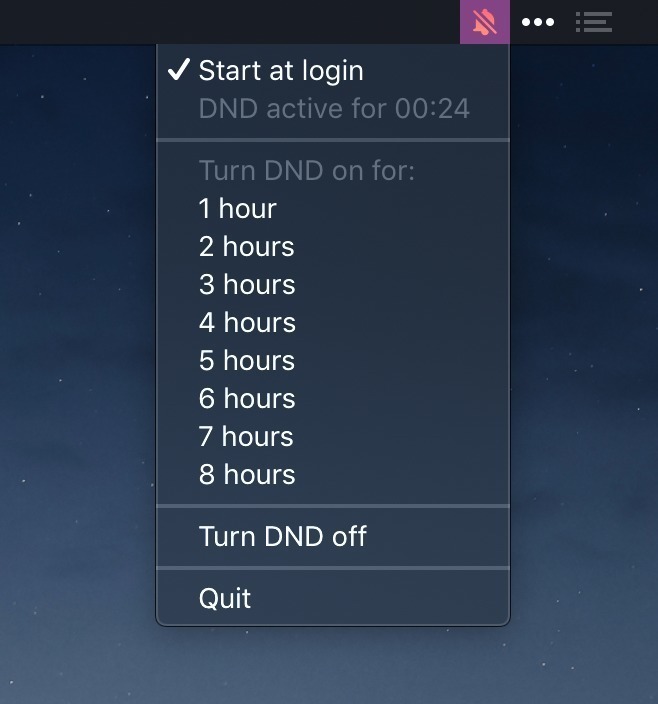 Will DND Me work good on macOS 10.13.4? 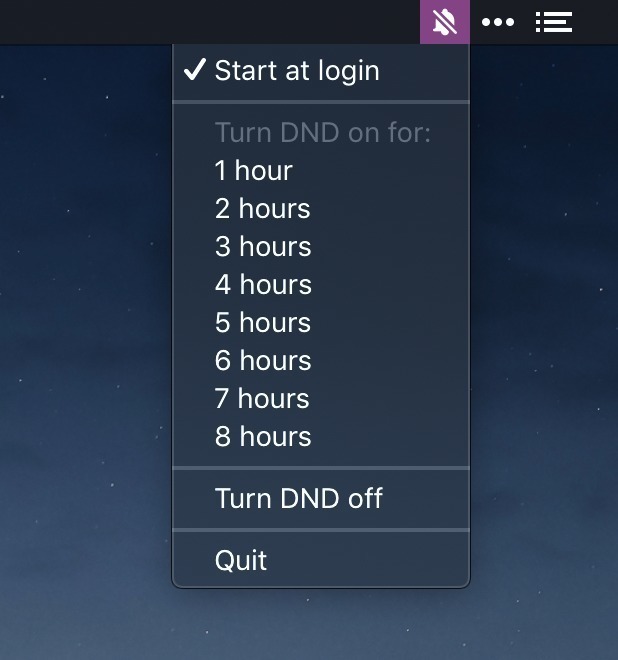 DND Me let's you be more focused to get more work done. Do you turn Do Not Disturb on, but forget to turn it off? Look no further! Activate Do Not Disturb for a few hours and work distraction free! DND Me needs a review. Be the first to review this app and get the discussion started! DND Me needs a rating. Be the first to rate this app and get the discussion started!